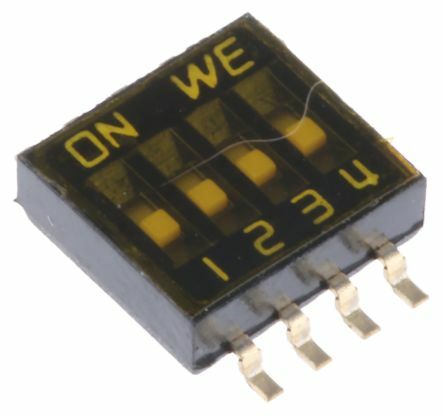 Surface mount DIL switches designed to DIL standards. 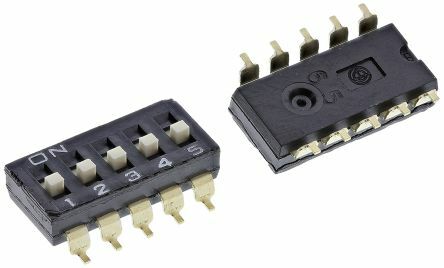 Allow automatic mounting with IC insertion machines. Surface mountingFlat actuators available as sealed tape versionsGold plated contactsContact resistance: 200mΩ maxInsulation resistance: 100MΩ min at 250VdcRoHS compliantMechanical life: 1000 operations. 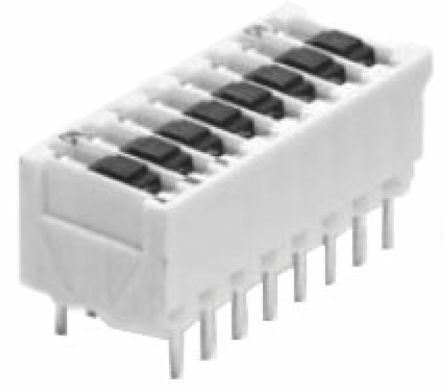 Surface mount, low profile DIP switches from Wurth Elektronik. 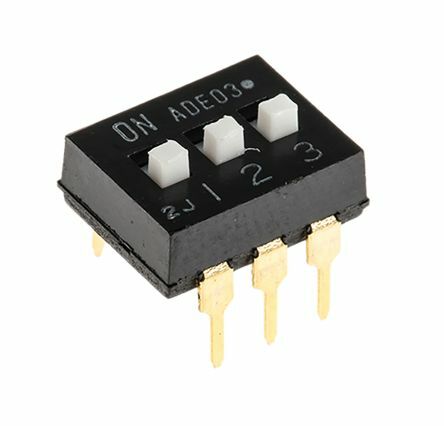 Top tape sealGold plated contactsOperating temperature -40°C to +85°CReflow Soldering according to JEDEC J-STD 020 Hot Air3 cycles max.